After posting the most dominating performance of his young career against his toughest opponent to date, Jon Jones appeared as a guest on Monday morning’s edition of ESPN’s SportsCenter to discuss his dismantlement of veteran Vladimir Matyushenko. While most are too busy mapping out the future Hall of Famer’s career, the talented 23-year-old is simply doing what most youngsters his age like to do … have fun. Although “Bones” is having a blast destroying practically everything that’s been put in front of him, he knows his toughest tests are yet to come. 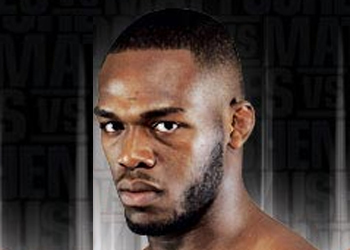 Jones owns a dominant 11-1 professional record and has finished in nine of those victories. UFC president Dana White will continue to bring his stud along slowly, as he’s promised Jones will get a shot at some Top 8 competition shortly.